The city is filled with criminals and usually they come on the street at the night time. 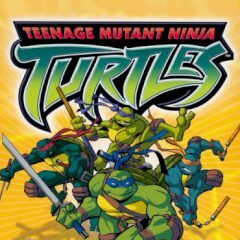 Fortunately, there are teenage mutant ninja turtles that fight injustice and help good people when they are in trouble. There are four superheroes that guard the city at the night time. They give no mercy to bandits and thieves who want to take something that doesn't belong to them. Be on your guard and patrol the night streets of the city and make sure that nothing bad is happening. Pick your turtle and learn his abilities in combat. Don't be afraid to face various gangs alone. Remember, you are a superhero!